Sarah Kauss, founder of S'well. Plastic water bottles are a divisive issue for many consumers, but not for Sarah Kauss. The defining moment happened at Kauss' five-year business school reunion in 2009. "A professor did a presentation about the global water crisis and the impact on the planet from plastic waste," said Kauss. "I knew then that my bottle idea had to happen." Before then, Kauss would carry other metal water bottles with her but wasn't happy with their look. 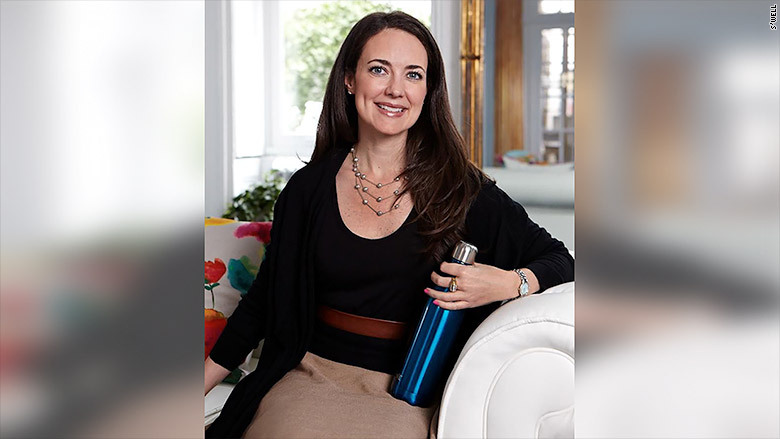 In 2010, Kauss launched her startup S'well, a line of insulated reusable stainless steel bottles that are designed to keep drinks cold for 24 hours and hot for 12 hours. Since then, the New York-based firm has sold 4 million bottles. The business is profitable and saw revenue surge 400% between 2013 and 2014 -- hitting $10 million last year. "We expect revenue to grow exponentially again this year," she said. Kauss never expected to become an entrepreneur. Prior to business school, she worked as a CPA with Ernst & Young and with a large real estate investment trust managing international projects. The one constant was her metal water bottle. It was convenient and essential, but maybe not quite a style fit. "It was ideal for the gym, or pulling out of your backpack when you're camping, but not for an executive to be carrying around," she said. Fast forward to 2009. After the reunion, and influenced by the presentation she saw, Kauss got to work on her eco-friendly bottle. "I made the business plan quickly, but it took longer than I expected to find the manufacturer and perfect the design," said Kauss, who invested $30,000 of her own money. When it came together, she launched S'well in late 2010. Not only does it help reduce plastic bottle consumption (Kauss said an estimated 50 billion plastic bottles are dumped in U.S. landfills each year), her bottles are also BPA-free. In 2011, she experienced the "Oprah Effect." "Oprah Magazine listed S'well bottles in it's 'O list' of popular summer products," said Kauss. "It was the stamp of credibility we needed." 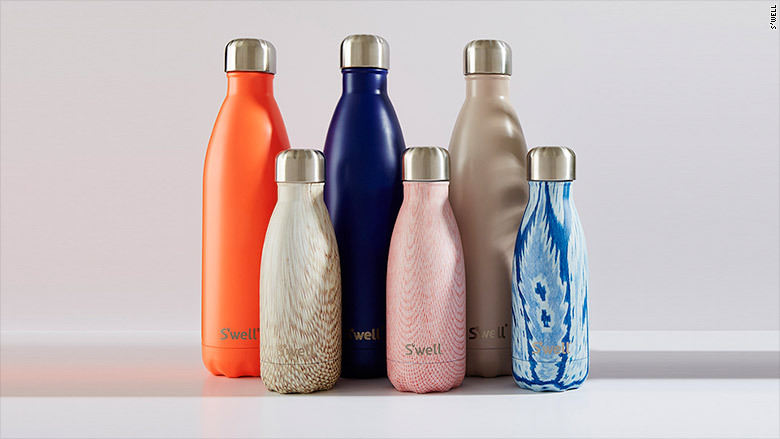 Today, S'well bottles come in 90 colors and three sizes, priced between $25 and $45. The bottles sell in major stores nationwide, including Nordstrom (JWN), Starbucks (SBUX) and J.Crew. "Google (GOOGL) is giving our bottle to all of its interns this summer," said Kauss, whose team has grown to 30 employees. Throughout the rapid success, Kauss said she hasn't lost sight of her business' social mission. The firm recently debuted bottles that look like wood. "For every [wood-style] bottle that we sell, we plant a tree in an American forest," said Kauss. "Last year, we planted 20,000 trees in my hometown of Jupiter [Florida]." Environmental conservation is still at the heart of her startup. "I want to get rid of plastic bottles," said Kauss.